Good morning, sun. You keep us cheery and bright. Good afternoon, javelina family. Are you the culprit for my messy yard? Goodnight, moon. You’re the perfect spotlight for my saguaro. We have so much gratitude for the beautiful desert we live in. With our wonderful weather finally making a comeback, we’re dreaming of coffee on the patio, after-dinner conversations on the porch, and that first breath of crisp air. Southwest living is invigorating in all its glory, and not only because of the weather. Many cultures have influenced our hometown. Designing an outdoor space that evokes the unique style of the Southwest is a way to honor the character and history of Arizona while taking advantage of the wonderful weather. Once you get settled into your new Porchlight Homes community, we’re sure you’ll be dreaming up the perfect outdoor living space. Here are some décor ideas to get you inspired. Rustic wood that’s once lived in a barn is often used to create vintage-looking tables and chairs. Even better if you can find a true vintage piece. If only your mom had kept that Mexican leather barrel chair and table set. Meander through a local antique shop and you’re sure to find some Southwest gems. Every Southwest-inspired patio needs a sturdy wood bench with unique hand-carved details. A rustic bench adds character to a space with a story of craftsmanship to be told. Add some colorful pillows and you’ve got yourself a conversation starter. If you have the space, a modern floating daybed is the latest trend in outdoor desert living. You simply secure it into the ceiling with durable ropes or industrial wire as the bed hovers just above the ground. Lounging outside will become your new favorite hobby. Create a Southwest garden next to a grassy area or in a potted place on the porch. 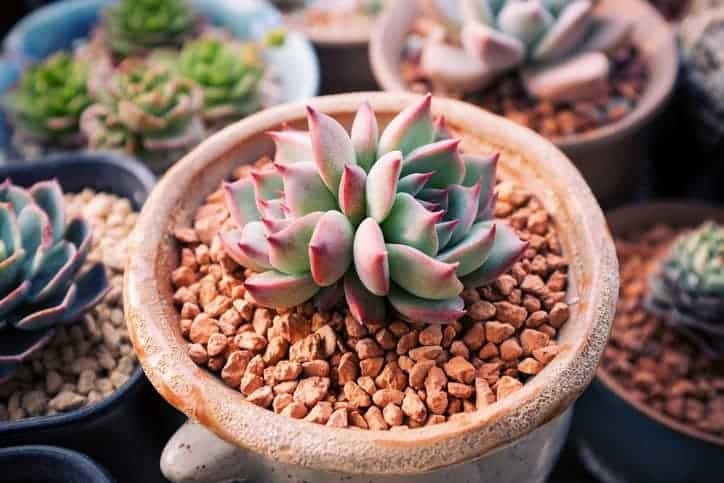 Succulents and cacti will add a desert look to your yard. The best part is that most of these types of plants require minimal upkeep. Use copper accents when styling your outdoor living space, but don’t overdo it. Copper-looking charger plates or napkin holders are small details where you can embrace this natural element. You may also consider a wind chime or sun symbol wall art for hanging as an ode to native Arizona. If you’re making the move to Eastpoint or Lazy Day Manor, we are so excited for you to start loving your new home. For more information about our vibrant new home communities, reach out to us online or stop by for a quick tour.